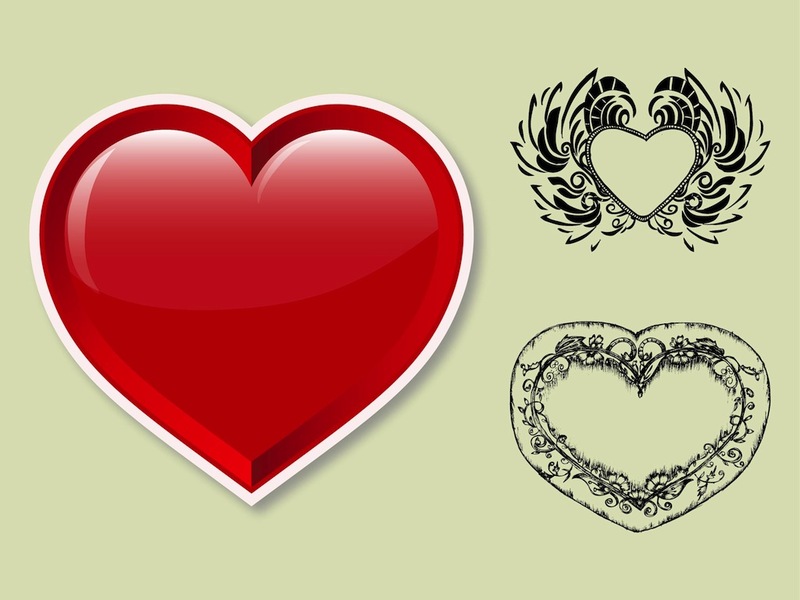 Vector image collection with different heart designs. Glossy cartoon style illustration with big reflections, shadows and light outlines and different hand drawn hearts with decorative flowers and wings. Free vector image collection for all your love, romance, romantic, Valentine’s Day and relationship designs. Tags: Flowers, Hand Drawn, Hearts, Romantic, Shiny, Symbols, Tattoos.